This book examines great past milestones and the complex mix of political, social, military and/or scientific trends and developments that contributed to their occurrence. Explores how religion, its ideas, attitudes, practices, and institutions, interacted with science from the beginnings of the Scientific Revolution to the end of the nineteenth century. Examines the political and scientific developments of the Enlightenment period between 1600 and 1800, and contains primary documents that describe the slave trade, the Ottoman Empire, the scientific revolution, and more. 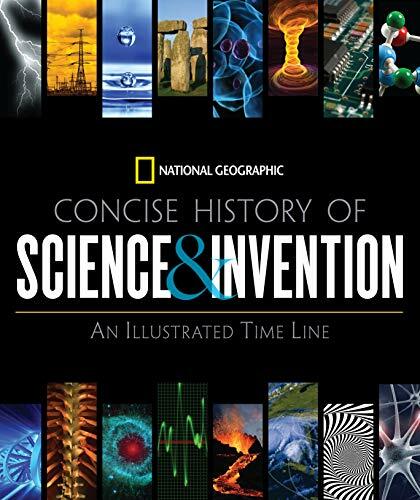 Chronicles the history of human achievement, featuring articles that provide introductions to ten major historical eras, each followed by a chart that displays the period's most important scientific developments in Europe, the Americas, Asia and Oceania, and Africa and the Middle East, a time line that offers a view of scientific developments during the period, and two or more picture essays. Presents a collection of essays that provide an overview of the Enlightenment, including information on it origins, history, philosophy, and influence. Chronicles the life of eighteenth-century Russian empress Catherine the Great, covering such aspects as her difficult early years of marriage, her fierce ambition, and the political intrigue that shaped her reign. Chronicles the history of the world from 1600 to 1850; discussing important events and prominent figures. Includes maps and illustrations. Presents primary and secondary source articles on the major events and cultural characteristics of the eighteenth century around the world, covering such topics as the European monarchs, composers, the Paris art salon, the French and Indian War, American slavery, the Boston Massacre, and child labor. Examines the life, works, and thought of eighteenth-century French philosopher and author Voltaire, including his philosophical beliefs, his deism, and his methods as a historian. Contains modern translations of five stories by the eighteenth-century French author, including the title selection about a simple, optimistic man whose travels take him from one disaster to another; and includes a critical introduction and a chronology. Eighteenth-century philosopher Jean-Jacques Rousseau's 1762 treatise on liberty, democracy, and constitutional legitimacy. Examines the lives and opinions of Western philosophers from Plato to Santayana. Introduces high school and college students to ten widely studies works of philosophical literature and discusses each work's place in literary and philosophical history. Selections that demonstrate how and why rationalism and empiricism came about, also examine the disparities between the two schools and the similarities of their common assumptions. Examines the lives and thinking of one hundred of the most influential philosophers in the history of the world, from ancient Greece to the dawn of the twenty-first century.